Now we need to create the web resource which we’ll add to the dashboard. 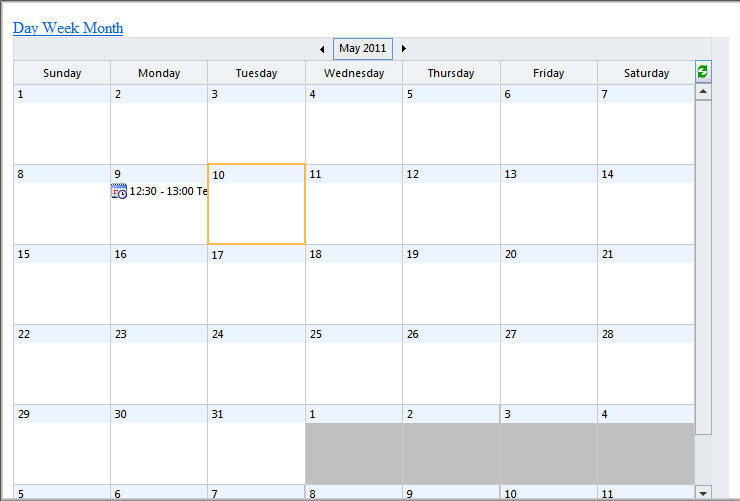 We’ll create a simple HTML page with an iframe containing the calendar. We’ll also provide some simple navigation to choose between the daily, weekly or monthy calendars. Edit: Some of the onclick code in the links is refusing to display properly below. You can either copy and paste it using the ‘Copy to clipboard’ link or view the real code here. The ISODateString() function has been borrowed from Mozilla in order to get the date into the correct format. Now click on the lookup and select ‘New’ from the popup window. Give your resource a name, an optional description and a type of ‘Web Page (html)’. Click on the Upload File ‘Browse’ button and select the HTML file which we’ve just created. Click on ‘Save’ and then ‘Preview’. You should now see a working preview of the calendar page. Close the preview and click on Publish. Once the Publish has completed, just Save and Close the window. You should now be back at the Dashboard designer where you can position and resize your web resource as required. Save and Close when done and take a look at your new dashboard! Hey Neil, I really like this solution, but when I leave the Dashboard or Change the view of the Calendar, I’ll always get this Error: (It’s the same as mentioned by mdgauthier before)SCRIPT5007: F? ?r die Eigenschaft "parentElement" kann kein Wert abgerufen werden: Das Objekt ist Null oder undefiniert calendar.js?ver=-1889612295, Zeile 1 Zeichen 314Translated:Unable to get value of the property ‘parentElement’: object is null or undefinedcalendar.js?ver=-1889612295, Line 1 Char 314Can you help me with that? Hey, It appears to be failing in the built in calendar.js file on this line: -oHomeCalendarBody=window.frameElement.parentElement.parentElement.parentElement.parentElement.parentElement.parentElement.parentElement.parentElement.parentElement.parentElement.parentElement.parentElement.parentElement.parentElement.parentElement.parentElement.parentElementI’ve updated the web resource so that it spoofs all of the elements expected and that seems to have fixed the error for me. I’ve linked to it above but you can also get it here – http://pastebin.com/5kcesRxyI'm not sure when this started happening and it may well happen again after future update rollups, but hopefully this helps!Neil. 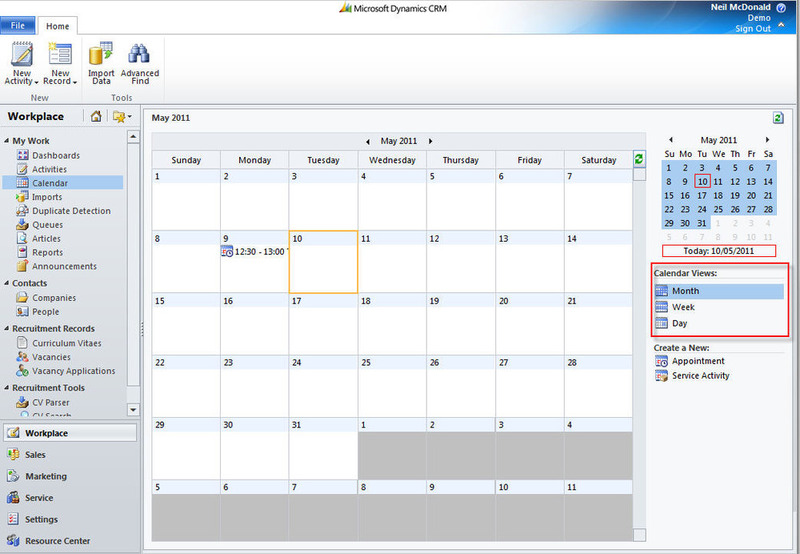 Is it possible to show a different CRM users calendar. 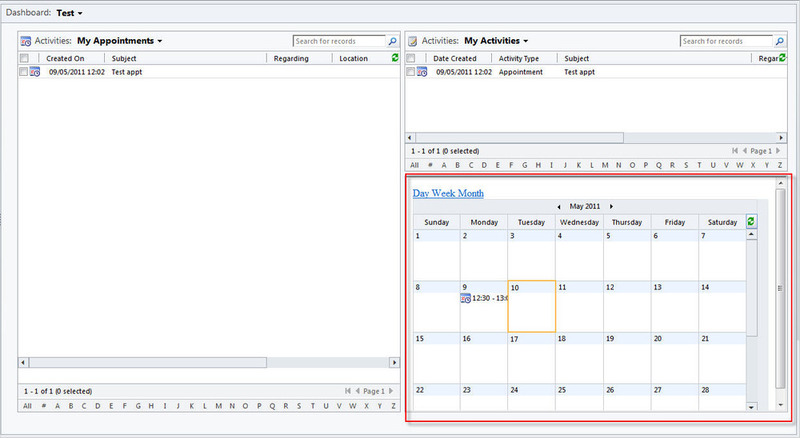 The example here only displays the logged in users calendar. I don’t think that this is possible. I’ve had a quick look at the various calendar .aspx pages on the server and the functions within them do not accept a parameter for ‘userid’ unfortunately. It was an unsupported trick, so I wouldn’t be surprised if it stopped working after UR 12. If I get a chance, I’ll stop being lazy and come up with a supported solution! Any new updates to this Feature, possibly for CRM 2015/2016? 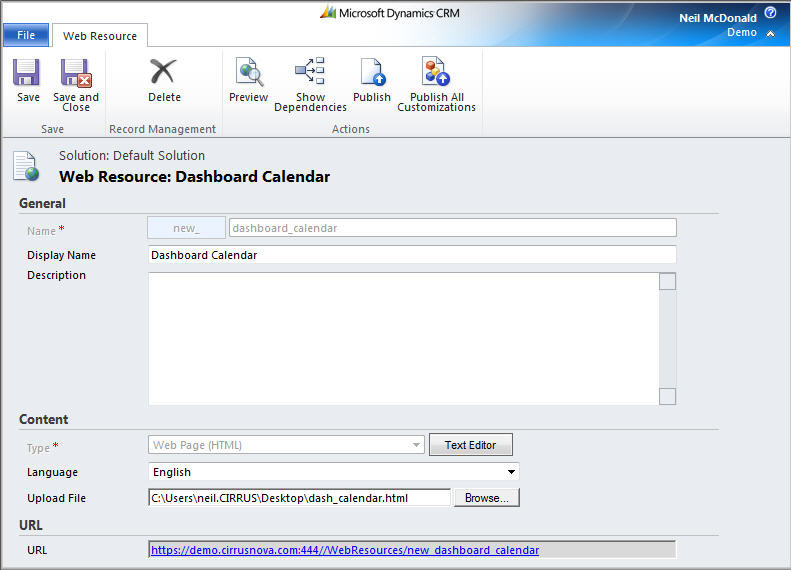 Any updates to this great feature for CRM 2015/2016?